The Roofing Evaluation Module (REM) simulates a consistent indoor environment and gathers real-time performance data. 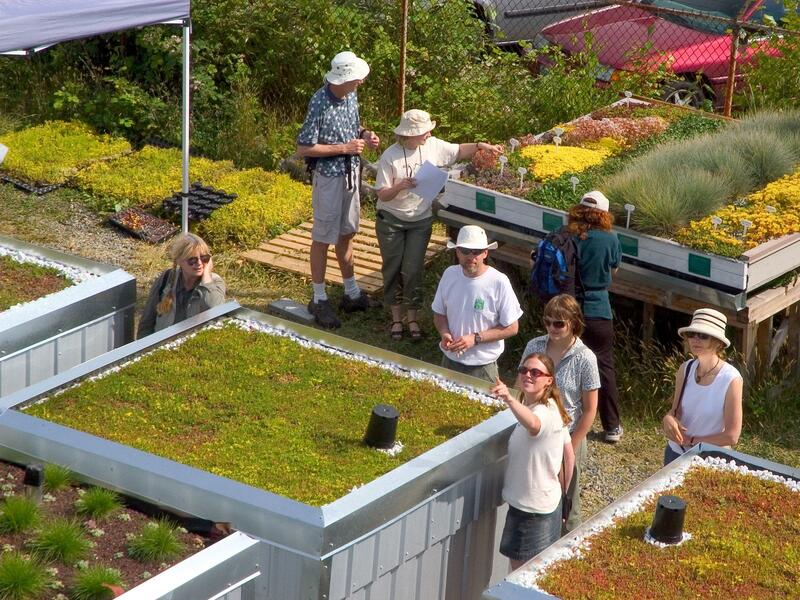 Each REM is topped by a different green roof system sponsored by industry partners. A reference REM demonstrates a conventional flat roof. 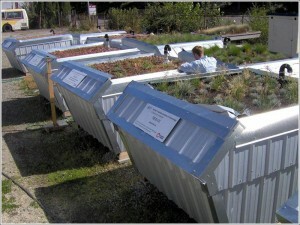 The REMs provide the same performance evaluations as the Green Roof Research Facility. how they perform in the Pacific Northwest is essential to overcoming barriers to implementation. Given their small modular construction, future REMs could provide climate-specific performance data in different locations, like the B.C. interior and Vancouver Island. To date, nine REMs have been installed, calibrated and monitored, and performance reports delivered. We offer this flyer, “Introducing REM-05” for more information. Contact us to enroll your green roof product for climate-specific performance evaluation.